Nov '15: Presentation at MIT - CSAIL Database group. Sep '15: Internship @ MERL Mitsubishi Research Labs (MERL): "Deep Learning for Spoken Language Understanding"
Feb '14: Won $750 as 2nd place in Hoggetowne hackathon. Department news covers our win here! In love with Artificial Intelligence (AI), he started with Lisp in his undergrad in 2003 before Deep Learning was cool to do, and these days through Deep Learning for Natural Language Understanding. Whether in industry such as Twitter Cortex, MERL, MIT or UFL he applies deep learning to various NLP tasks. Received his Ph.D. from University of Florida, working with Dr. Daisy Wang on constructing a continuous probabilistic knowledge base from text. - Knowledge base construction - question answering systems - chat bots -Memory systems - deep learning architectures. 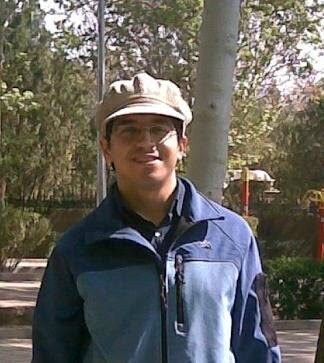 He has participated in ACM ICPC (International Collegiate Programming Contest) for over 3 years; achieving an Honorary Degree with his team in the Asia regional contest, 2005. In this contest he was both the coach and a contestant of the team here. He has advocated voluntary services in communities in Salt Lake City UT, San Antonio TX, Gainesville FL, etc. He has fell in love! with open source development on various projects that you can find on his github page. On his spare times, he enjoys playing soccer, volleyball, badminton, hiking, riding his mountain bike off-the-road, swimming, ... . He used to ride his bike at least 160 miles every month! He also enjoys philosophy and challenging theological aspects of different religions. He also enjoys doing service for the people in need as he believes everything we have is not a privilege for us, but an opportunity to get closer to the real intention of being a human being. His wikipedia contributions are Wiki(or here). You can't get what you want if you don't know what you want.